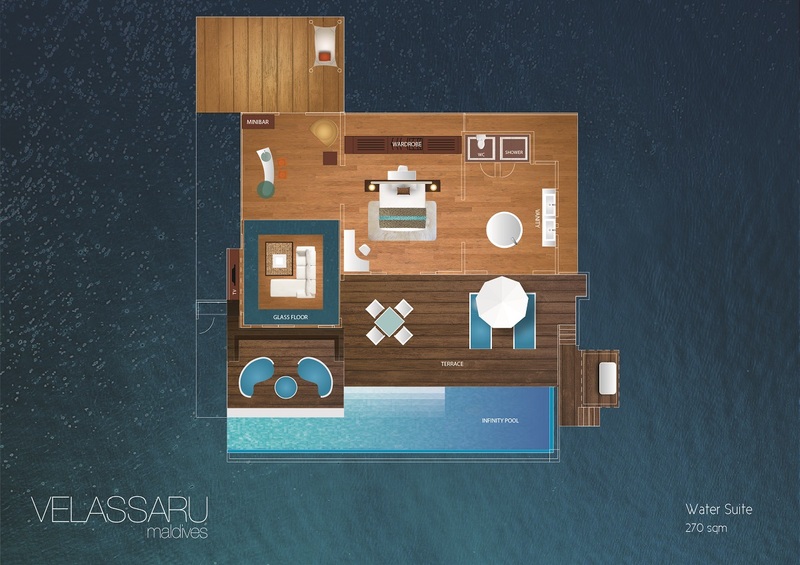 Bright interiors open out to a private sundeck with steps leading down to the brilliant blue lagoon. Personal wine chiller & private bar. Nespresso coffee machine. Personal butler service. Home theatre system with Bluetooth audio. Outdoor rain shower. Sundeck with infinity pool & lagoon access. Ironing facilities. Branded linen. Pillow menu. Snorkeling equipment. Ice machine. Ipad.